Our Encapsulation service is dedicated to delivering quality products with lead times to meet your schedule. Our production facility is GMP certified assuring you the highest quality capsule production. 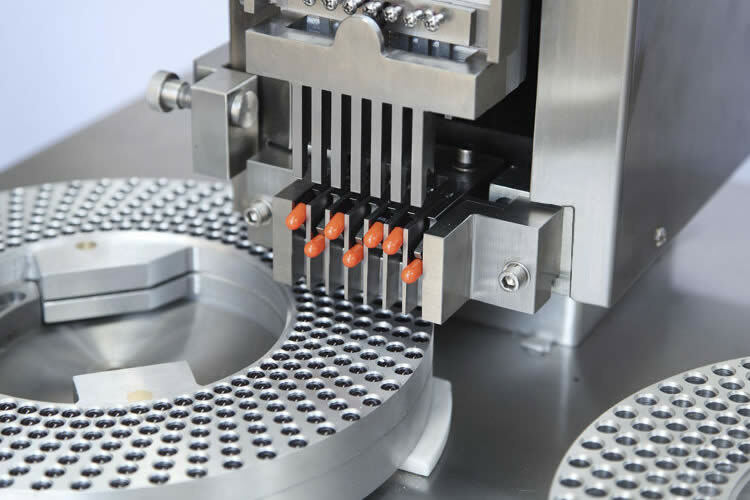 We can provide you with hard-shell capsules in ‘4’, ‘3’, ‘2’, ‘1’, ‘0’ & ’00’ in vegetable, gelatin base, or Pullulan. Beehive Botanicals custom capsule manufacturing services offer production technology including blenders, automatic and semi-automatic capsule filling equipment, automatic bottling and labeling lines. Raw materials as well as finished products undergo quality control including identity, purity, strength & composition. Beehive Botanicals ensures your product meets your specifications and strict GMP certification standards. Make sure you don't miss our manufacturing news updates by joining our e-newsletter program.